Thank you to John Graff from Denmark for contributing this image from the movie "Crime Busters" and Jeff Levine for identifying the location. Jeff states that the store was built around 1955 and the surrounding Colonial Shopping Plaza was added in the early 1960's. After Grand Union shut down the store became a Winn-Dixie. The dollar store is actually where Food Fair was on 125th and NE 9th Ave. 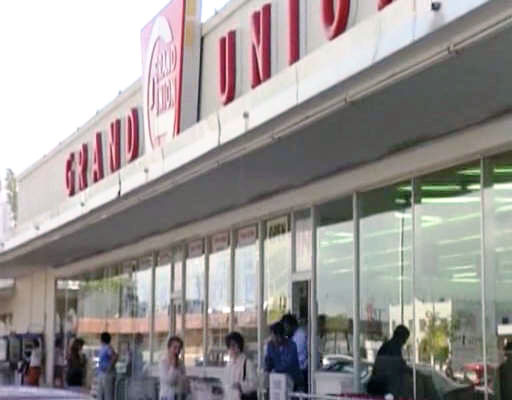 The Grand Union pictured here became a Winn Dixie, and is now a President's supermarket.